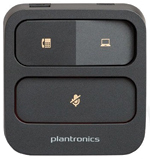 The Plantronics MDA100 QD Analog Switch is easy to use and allows you to switch between your desktop phone and Softphone without having to change headsets. This switch has been designed so that users can control the audio of different devices in the same way. 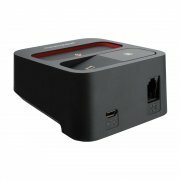 The MDA100 QD is intuitive, with easy-access buttons that allow you to switch and mute your calls easily, while the 3 meter cable allows greater freedom of movement during your conversations. Users will be able to concentrate on their calls without having to worry about which device they need to use. The 6-way setting ensures compatibility between your desktop phone and your Softphone.